As the week progresses, it can become harder and harder to feel full of energy. Food plays an important role in your body’s energy supply, and it is so important to structure your diet in a wholesome way so that you can feel rejuvenated through all your commitments and experiences. ☕️ Coffee is a go-to for quick energy supply. It’s also a warm and comforting beverage to enjoy in the morning. Taking 10 minutes to slowly and mindfully sip away and be present can set a positive tone for your whole day. Using our @cbdsuperfood Dark Chocolate Coconut Oil, we’ve brewed a creamy mocha latte to give ourselves a boost. 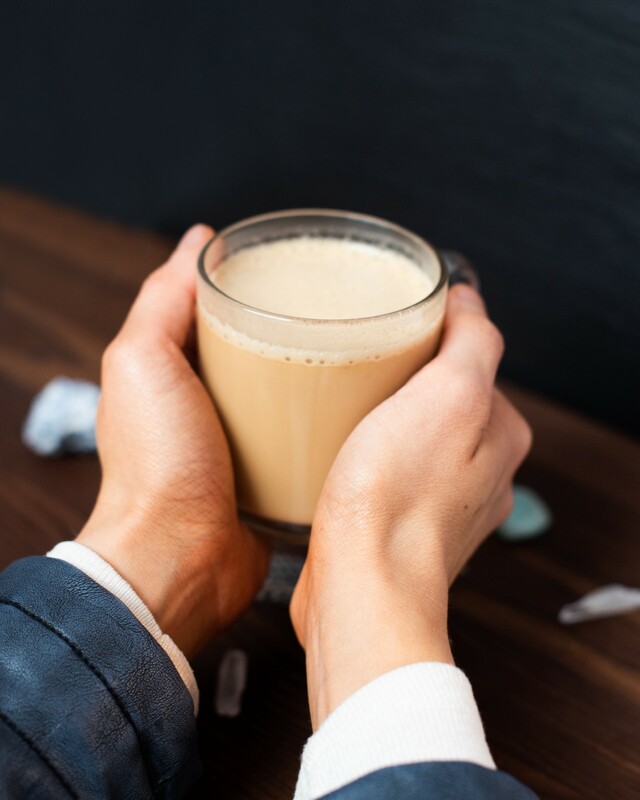 Cacao offers its own slower-burning energy, so this drink provides a combination of powerful ways to leave you feeling revitalized and ready to take on the day (and week!). Heat almond milk on the stove until it begins to boil. Pour coffee grounds and almond milk into a fresh press. Let sit for 4–5 minutes. Press the french press and pour the liquid into a mug. Stir in CBD Dark Chocolate Coconut Oil, cinnamon and maple syrup. Enjoy immediately or blend for 20 seconds in a blender to create froth.